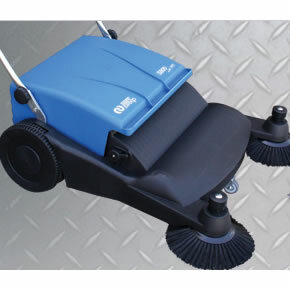 • Sweeper twin Roller System [TRS] ensuring highly eﬃcient collection of materials. • Entirely manually operated with no electronics/electrics to reduce cost of ownership. 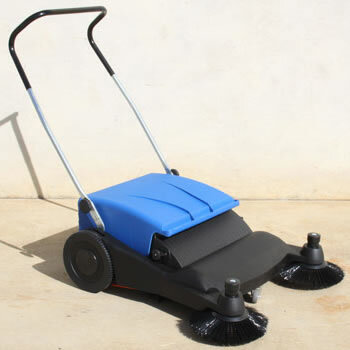 • Main and side brooms made of wear-resistant polyamide and is easily serviceable. • Main structure is made of impact-resistant polyethylene for long lasting quality and durability. • Quick-folding mechanism of the push-handle. 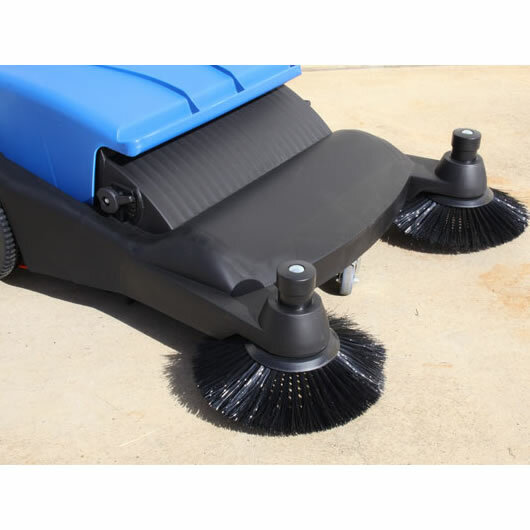 • Sweeper has large dust container (40 litres) means improved working eﬃciency. • Corners and edges are no problem, and since the sweeping and lateral brushes can be adjusted in height the NS-S800 can be set for various terrains. • When it is pulled backwards, the sweeping rollers and lateral brushes are raised, and after having ﬁnished using it the NS-S800 can be stored in very tiny places!